Early Bird: $375 plus HST before May 8th, 2019. If you LOVE children and want to teach “themamazing” life skills then this course is for you! Gain Confidence in teaching yoga to children ages 2-12! Learn how to teach pranayama (breathing techniques) in a fun and intriguing way. Learn songs, games and activities to apply in your kids yoga classes, gym classes, day camps and daycare classes. Build your teaching tool box with tons of resources, songs, books and websites. Who has taken our courses before? 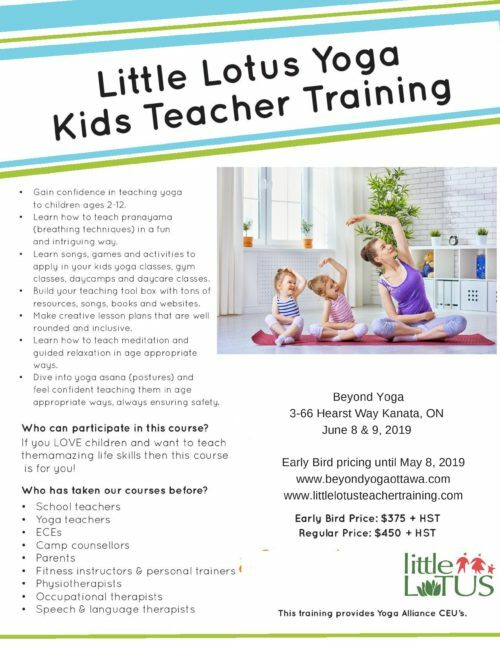 School teachers, Yoga teachers, ECES, Camp Counsellors, Parents, Fitness Instructors and Personal Trainers, Physiotherapists, Occupational Therapists, Speech and Language Therapists.